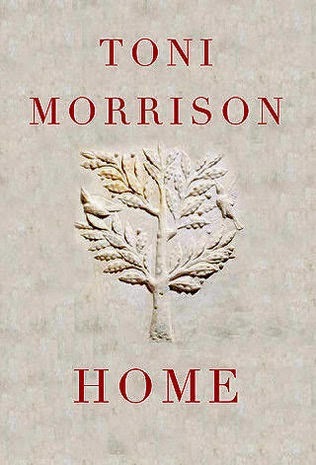 Our March selection for the Inspired by Reading Book Club was "Home" by Toni Morrison. The book is primarily about a character named Frank Money and his Odyssey-like story of leaving for war and his voyage home. The book is also about his sister and her path away from (and back to) the small, rural African American community, Lotus, Georgia. Even though it's a slim book, there's a lot packed into the story that deals with poverty, racism, social norms of the 1950's, Posttraumatic Stress Disorder, and like other Morrison titles, a touch of magical realism. At the meet-up, the book was met with mixed reviews. Some saying that the tone of the book was so dark it was hard to get through it. I liked it, but agree that this title might not be for everyone. One of the things that I really enjoyed about the book was the writing style. It has a sing-songy feel, almost like poetry. It gives it a dream-like quality and somehow lessens the blow of horrific acts, but at the same time, gives them gravity and weight. The meet-up was a lot of fun as usual! Because they ate it in the book, I picked up fried chicken and potato salad. Everyone brought something and we sat around the table, talking and laughing! Laurel brought a bottle of champagne to celebrate getting a new house and selling her old one! I always look forward to the book clubs. Even though we talk about the book, we also share our lives and it's a nice time to just slow down and catch up. Since our book club fell on April 1st, Amy brought brownies. 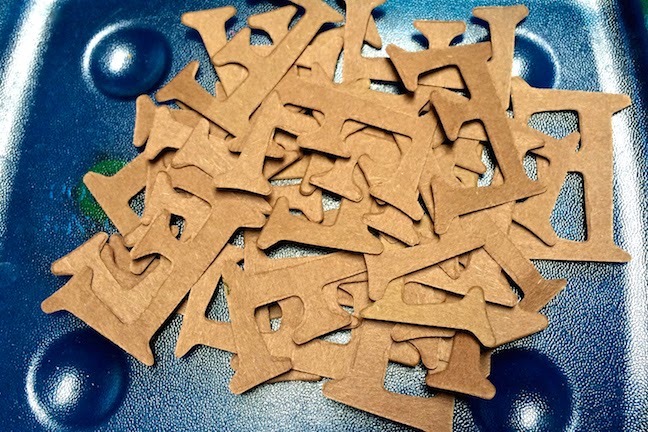 Or rather... brown E's! April Fools! This necklace was made by Laurel. 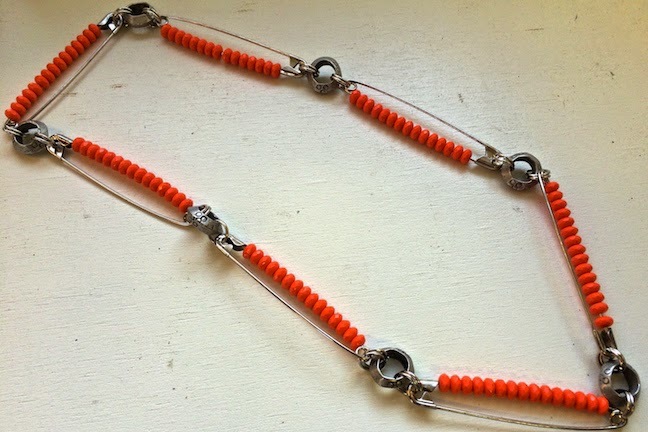 Here's what she had to say about it, "The necklace is made up of large safety pins, African metal rings, and orange Czech glass. There's a really horrible scene in the book that deals with a little Korean girl scavenging for a moldy orange. The color of the glass represents that fruit that impacts the entire book. Such a sad, sad, sad book." Laurel also made this matching necklace and bracelet set. 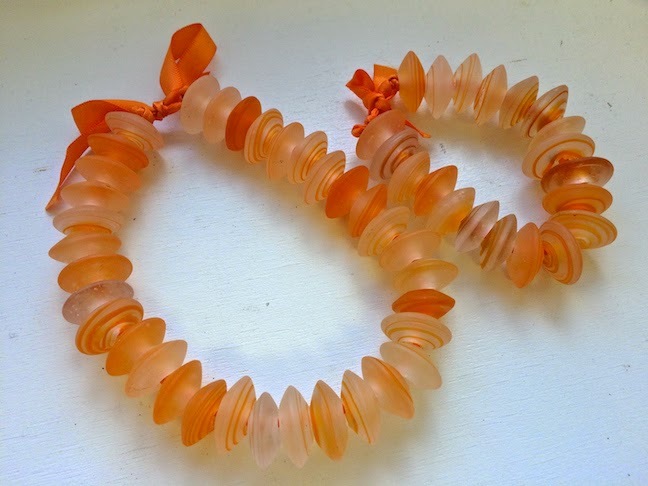 Here's what she had to say about it: "When I was living in D.C., I stopped in a little bead shop on Dupont Circle and got these African glass beads. I simply strung them on ribbon and made the matching necklace and bracelet. 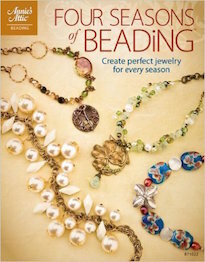 The color of the beads and ribbons also relates to that scene with an orange." Amy submitted this photograph for her submission. Here's what she said about it: "I knew that I wanted to do something a little different, so I took a photo this month. It also deals with that orange scene." I made this necklace. 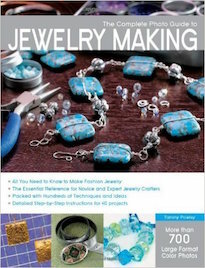 It's made up of faceted aquamarine rondelles, African metal spacers, a white bronze toggle from Saki Silver, a wishbone pendant from JessImports, and a single, matte orange stone. 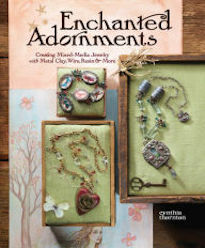 The passage that inspired me read, "I liked the small breakable thing inside each one. Whatever their personality, smarts, or looks, something soft lay inside each. Like a bird's breastbone, shaped and chosen to wish on. A little V, thinner than bone and lightly hinged, that I could break with a forefinger if I wanted to, but never did. Want to, I mean. Knowing it was there, hiding from me, was enough." The blue of the aquamarine is supposed to represent the color of the zoot suit man's outfit and the little misshapen orange bead is supposed to be the orange. 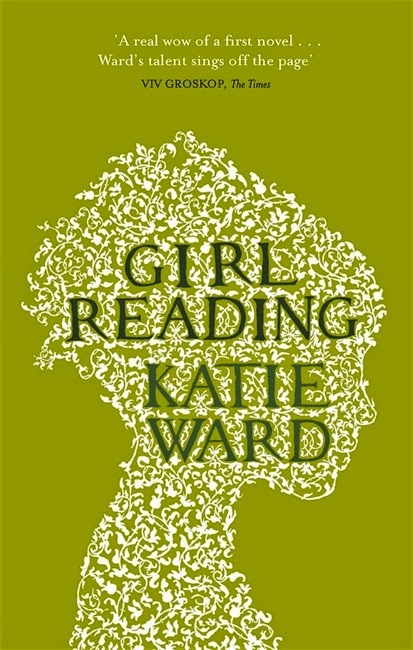 Up next is "Girl Reading" by Katie Ward. CLICK HERE for the full list of the remainder of this year's books. The next series of book selections starts in a few months. CLICK HERE for the full list. The in-person meet-up for "Girl Reading" is scheduled for Wednesday, April 29th. 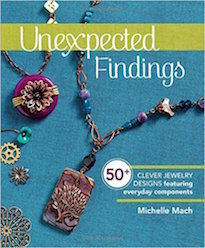 The blog hop is scheduled for the following day on Thursday, April 30th. If you're interested in keeping up with us and what we're doing in the book club, CLICK HERE to visit our Facebook page. 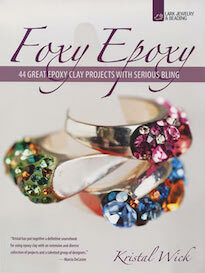 CLICK HERE to check out our supplemental inspiration on Pinterest. I did read the book Home, but couldn't get it together to finish a project. Interesting the orange scene influenced all the projects here. That never even occurred to me! I had a quilt pendant picked out. Anywho, I love all of Laurel's creations. The safety pin necklace is clever and cool! I love the African glass beads in the necklace and bracelet set. Those are my kind of beads. It was fun to see something different with Amy's photo. Something about the way the hand is curled really captures the sadness of that orange scene for me. I love Andrew's necklace. It's beautiful just on it's own, but has so many elements from the book. The wishbone passage is also something I went back to when thinking about projects. I enjoyed the book. Obviously all the subject matter was sad, but I enjoyed the writing and the sort of matter of fact reality of it. This is what we are experiencing in life, and this is how we are going to deal with it. 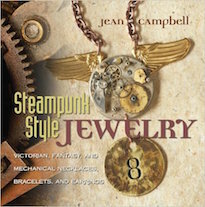 All the jewelry is so stark; I feel like I got a sense of the book and of the place. Andrew, thank you for hosting us again! We had a blast and it is always a fun night out! 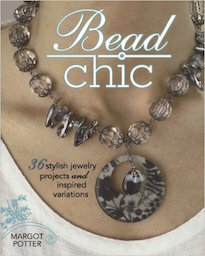 Laurel: I absolutely love the glass beads from DC, I would love to see you wear them! Great job on the safety pin necklace, what a creative idea! Andrew: The aquamarine is beautiful and I was hoping someone would represent the Zoot Suit Man in their project. Great Job! Amy: The orange peal!! That was so serendipitous that you had that on the day of book club! Much like Frank forgot about the body and only remembered the horses, I totally forgot about the orange scene that influence all y'all. Great work, everyone! Laurel, cool idea with the safety pin necklace. 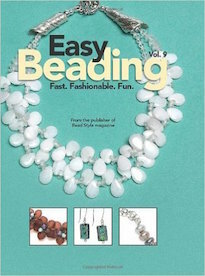 I LOVE the beads in your necklace and bracelet set. Congratulations on your house sale! Amy, nice to see someone else play with photography for their project. My husband will hopefully be moved to play along again and do more photos. Andrew, I love the delicate feeling of your necklace. It's lovely! I have to say I was glad I wasn't the only one to struggle with the theme of Home. I love all of the creations. It's interesting that the orange color is represented in more than one place int the book. Andrew the wishbone is perfect for interpreting that passage, Laurel, your safety pin necklace brings back the desolation of that scene. Amy - how great that you submitted a photo. The stark image is perfect! Laurel: Both of your pieces are so funky cool! I love the bright colors and how they really POP! The safety pins give the first necklace a little bit of edge and sass. It also reminds me of the quilting ladies. Amy: I love that you did something a little bit different this time. The way that the orange peel sort of has a phallic look about it fits perfectly with the story and his crotch getting grabbed. Such a sad scene in the book! But you've translated it so well in your photo. Thanks you two for participating and playing along! I had a lot of fun at book club! I also found the book hard to read as far as subject matte is concerned. But I agree with you that the prose was delightful and is probably why overall I enjoyed the book. Laurel's two project were delightful and loved the glass beads from DC. I am glad Amy stepped out of the jewelry box and presented a photo. Love your aquamarine necklace, and the use of the wishbone.